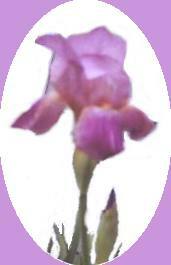 Adopting the Iris as its "Official City Flower," Hobart seems to embody everyone's idea of their home town. Quaint, thriving shops surround the tree-lined Kiowa County Courthouse and Square which is listed on the National Register of Historic Places. The original City Hall building still houses the Fire Department but is also the home of the Shortgrass Theater, which produces three to four stage performances annually with cast members from throughout southwestern Oklahoma. The City hall auditorium is on the National register of Historic Places , as is the Hobart Public Library. Hobart was settled in 1901 and named for Garrett A. Hobart, at that time Vice President of the United States. On the corner of Main and Fourth Street, at Hobart's only stop light, Boothe Drugstore still boasts a soda fountain and features sodas that evoke memories of the small towns of bygone years. Just south of Boothe Drugstore is the historic, rock Island Depot housing the Kiowa County Museum which is filled with artifacts of southwest Oklahoma. The tree-lined streets in Hobart frame beautiful housing additions and lead to Hunter Park, a 25-acre recreational area surrounding Hunter Park Lake. Though Hobart has quietly chanted with age, it retains an aura visitors fondly remember. Hunter Park is a 25-acre recreational area surrounding Hunter Park Lake. The park has areas for children to play, a pavilion for families to gather for large reunions or for quiet picnics while tossing a line the lake for an afternoon of fishing.